Happy Monday and I hope that everyone had a wonderful weekend! This is going to be a busy couple of weeks. On March 9th, The American Montessori Society’s Annual Conference kicks off in San Diego. 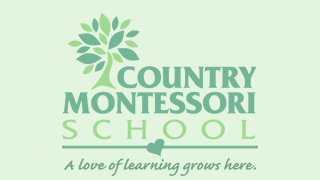 As you know Country Montessori School was selected to be on the AMS tour schedule. We will be having 56 visitors from across the United States touring our campus and classrooms, as well as an in-house presentation by Frank Leto, a long time Montessorian who is known for children’s music. Our visitors arrive at 8:45, please have your student to school on time. The staff is excited to welcome AMS and have been discussing the visit with their students. The school will be closed on Friday, March 10th and child care will not be available. 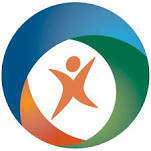 The staff will be attending the conference, attending a variety of workshops beginning Thursday evening through Sunday. Re-enrollment is in process and is due by March 17 with open enrollment starting the following Monday. Our 2017 Summer Camp registration is available on our web site, there are some new and exciting camps available by our teaching staff. The PTC Auction Committee has been hard at work organizing and planning for our Annual Auction being held on April 22 here on our campus, please save the date. This will be an enjoyable event for both parents and children at the same time as supporting our second fundraiser of the year. I look forward to seeing everyone there! On Monday, March 13, the Spring Parent/Teacher Conference sign-ups will begin. Information regarding this will be sent out. I hope everyone has a wonderful week!